A ways back, Christina Palassio, the Director of Communications for Community Food Centres Canada wrote to me to let me know of their Food Fit program and to ask if I might share. After reading about it, I agreed, it's definitely good news worth sharing. FoodFit is a 12-week program for low-income community members who experience barriers around healthy eating and physical activity but who are motivated to make lasting changes to their health. The program combines fun, hands-on cooking sessions and food-based activities with take-home recipes, easy-to-understand nutrition information, group exercise, shared meals, self-directed individual and group goal-setting, and reflection and feedback loops that monitor and reinforce individual and group progress. The program also collects biometric indicators at the start and end of the program, and provides pedometers so participants can monitor daily steps. FoodFit respects the limits of people’s circumstances, and aims to give participants simple, useful tools to navigate an increasingly complex food environment. FoodFit was developed with input from a medical doctor, nutritionists, Community Food Centres Canada staff, and community members. It’s offered as part of a suite of programs at The Local Community Food Centre in Stratford, The Table Community Food Centre in Perth, and the Regent Park Community Food Centre in Toronto. These three Ontario Community Food Centres (CFCs) and others across the country provide food access, food skills and education and engagement programs in low-income communities as a way to increase healthy food access, improve physical and mental health, and reduce social isolation. Recently, we heard from Peggy, a FoodFit participant at The Local, about how the program and space have been catalysts for change in her life. We wanted to share it with you during this National Nutrition Month. Peggy and her daughter started coming to community meals at The Local about two years ago. They were living in a room in a shared house and were finding it hard to make ends meet on social assistance. Access to healthy food is what brought Peggy through the door, but she quickly got involved in several food skills and advocacy programs as well. Weekly FoodFit sessions vary in focus, from how to cook whole grains to reading nutrition labels to mindful eating. The curriculum is based on current research on healthy eating and how people make change. The program strives to create a welcoming, non-judgmental atmosphere, and to motivate people via realistic individual and group goal-setting. We hope that participants will become better nourished, less socially isolated, better able to effect personal change and that, in the long run, they will experience lasting physical, social and mental health benefits. Peggy found the program’s food label reading activity particularly helpful. By Week 12 of the program, Peggy’s blood pressure readings were lower, her fitness level had improved from “poor” to “above average,” and she had dropped 12 lbs of weight and lost four inches from her waistline. In the first week, Peggy recorded an average of 3,954 daily steps on her pedometer. By the end of the program, they had more than doubled to 9,601. She had also learned practical tips for making healthier food choices, was cooking more healthy meals at home, and had made new friends. Peggy feels her health has improved both physically and mentally. Two months ago, Peggy found a job in a kitchen at a restaurant. She credits the experience she gained in The Local’s food skills programs and a connection made through their community chef for helping her get the job. In November, Peggy and her daughter moved into a one-bedroom apartment. But in spite of this positive movement, Peggy still struggles. This points to the larger structural problems that keep people from being able to access healthy food: the high cost of housing and food, low wages, a food environment where unhealthy choices are often the easiest and quickest to make. And it underlines the need for policies that support healthy eating, adequate incomes, and long-lasting positive changes to the health of Canadians. 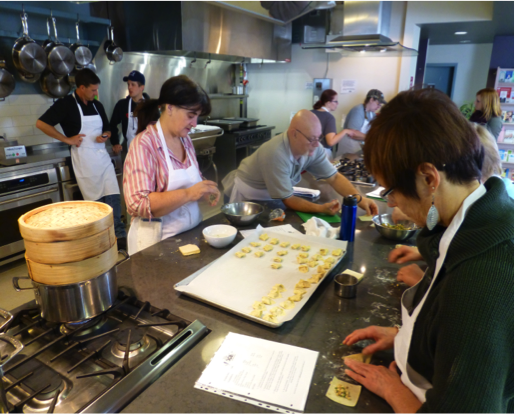 FoodFit continues to be offered at The Local, The Table, and the Regent Park Community Food Centre, and CFCC is currently seeking funding to roll out the program across Canada over the next five years. 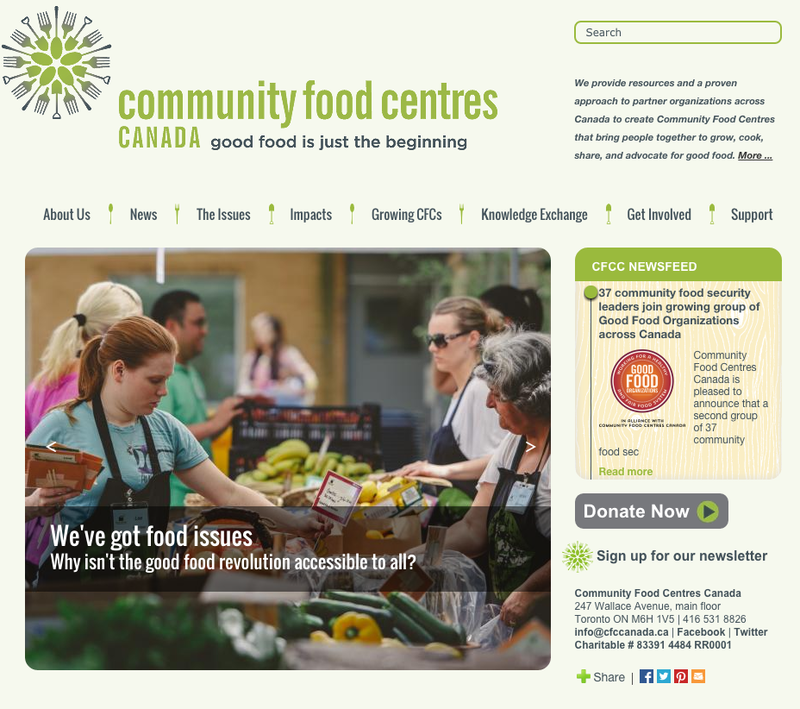 To find out more about FoodFit and Community Food Centres Canada, visit www.cfccanada.ca, or find us on Facebook and Twitter.